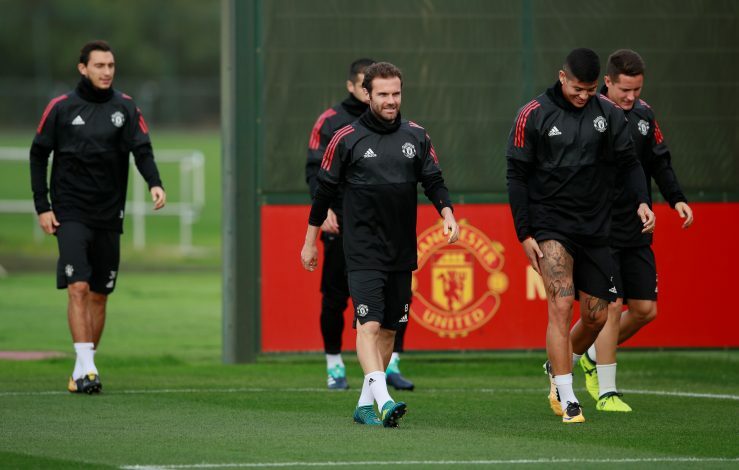 Manchester United will look to continue their splendid form in the UEFA Champions League on Wednesday when the Premier League giants face off against Benfica away at Lisbon. Currently suffering from a host of midfield injuries in the form of Pogba, Carrick, and Fellaini, the side will look to still put up a decent attacking play. However, their traveling squad has two names that will have supporters excited, as one of them will be returning from a long-term injury. The defensive duo of Luke Shaw and Marcos Rojo has been included in the squad list. 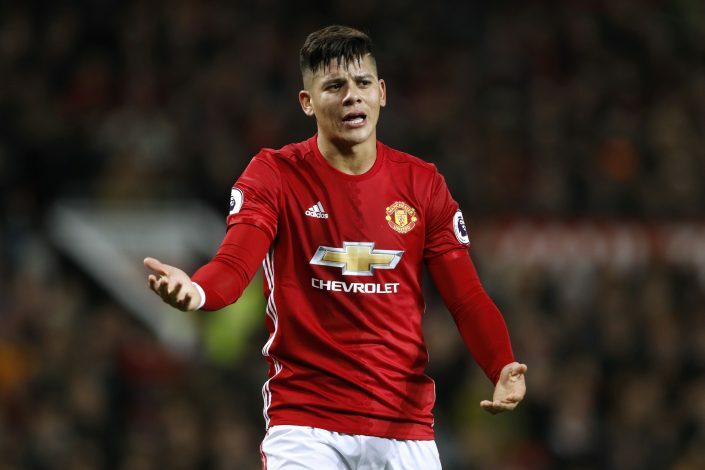 Both are vital improvements on the injury situation at hand, since Wednesday can potentially be Rojo’s first minute back in action this season. The 27-year-old Argentine was sidelined after having suffered a shock cruciate knee ligament injury against Anderlecht in last year’s campaign, and has since then constantly been hard at work in an attempt to regain match fitness. Further, the question of fitness is also what has plagued Luke Shaw, who despite having made a full recovery, is yet to taste consistent match time this season, with an appearance in the EFL Cup being his only contribution so far this campaign. However, it is unlikely that any of them will be put right in the midst of the action, as it will make more sense tactically to deploy them as substitutes. Elsewhere in the squad, youngster Scott McTominay has also squeezed in a spot. Unfortunately, this is less of an indication of how well the youth academy graduate has been performing, and more of a sad sight as to how truly thin the Mancunian midfield is stretched owing to the daunting absences at hand. Fans will be eagerly hoping to not see a repeat of the defensive boredom they were subjected to at Anfield on Saturday, in a match which culminated in a 0-0 draw. The full and confirmed squad list is as follows (via M.E.N Sports) : David de Gea, Sergio Romero, Joel Pereira, Daley Blind, Victor Lindelof, Antonio Valencia, Luke Shaw, Chris Smalling, Matteo Darmian, Axel Tuanzebe, Phil Jones, Marcos Rojo, Ashley Young, Jesse Lingard, Nemanja Matic, Henrikh Mkhitaryan, Juan Mata, Ander Herrera, Scott McTominay, Marcus Rashford, Romelu Lukaku, and Anthony Martial.